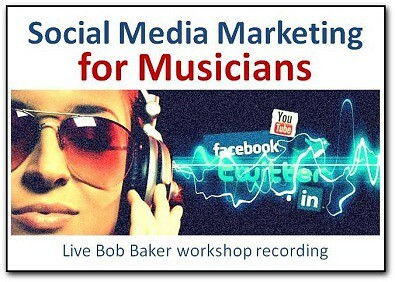 Become an Online Music Marketing Ninja in Less Than Three Hours! Have you ever had trouble wrapping your brain around Internet marketing and using social media to attract fans and promote your music? The truth is, everyone feels the overwhelm. Everyone gets confused. But after 20 years of studying and applying this stuff, I’ve discovered that there are ways to get on friendlier terms with online marketing … and embrace it in a way that leads to real results. 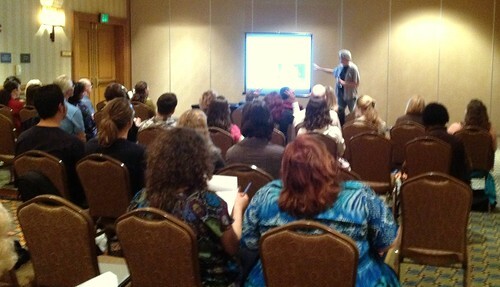 I recently presented a rare workshop in my hometown of St. Louis, MO. The topic was Social Media Marketing for Musicians and Guerrilla Music Promotion Online. I mixed up the best content from my previous training sessions with fresh material from the new edition of the Guerrilla Music Marketing Handbook. Now you can download the audio recording of this in-depth workshop (108 minutes) and a PDF of the 56 PowerPoint slides I used that day. This is a 73-minute workshop I co-presented at a Folk Alliance event with a smart and savvy indie artist named Lyal Strickland. Together we reinforce many of the principles I cover in the main program, while sharing lots of great examples of how Lyal and other DIY artists have succeeded online. NOTE: During this session Lyal also reveals how he used social media to win a $25,000 online music contest! Wait, forget that price. If you order today you can download them both for only $17 USD – that’s a steal! Yes. I want you to be happy. So take up to THREE full months to apply these DIY marketing tactics and decide if they’re helping you get more exposure, attract more fans, and make more money with your music online. If you’re not happy, for any reason, just let me know and I’ll give you a refund. I won’t make you jump through hoops. No 20 questions. I’ll just give you your money back. Get immediate download access as soon as your order is approved. $47.00 — Only $17 USD for a limited time!